Our hair is our symbol of beauty! The way our hair looks and feels is very important to all women and we thrive towards perfection when it comes to hair care. Unfortunately, almost all women damage their hair when they color it, dry it, straighten it or treat it chemically. All of this makes our hair dull, thin and fragile, which is something no woman wants. If we factor in all the above mentioned treatments and all the stress we undergo in our everyday life it’s no wonder that so many women experience hair loss. But you don’t have to worry about this problem anymore; we have the perfect solution for you. If you want your hair to be prettier, healthier and longer I would recommend you start using the following hair growth shampoo and resolve your problems for good. It’s the simplest homemade hair growth shampoo ever and you’ll notice the positive effects just after a few uses. If you use the shampoo regularly your hair will be stronger, healthier and it will start growing like crazy. This is the most effective shampoo recipe to stop hair loss for good. Add all the ingredients to the nettle shampoo and mix them all well. 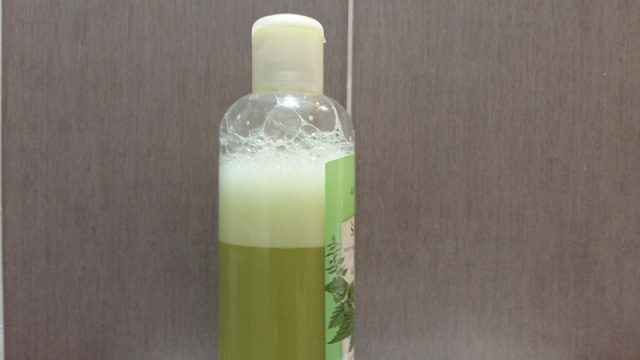 Was your hair with this shampoo regularly and you’ll notice your hair getting better soon. This shampoo is a real vitamin bomb for your scalp and hair and will regenerate your hair from the follicles. Make sure you shake the hair growth shampoo well before you apply it on your hair. Apply a generous amount and rub your scalp and hair with your fingers. Massage your scalp for a few minutes to encourage blood flow and better absorption. After you’ve finished rinse your hair and apply the conditioner or hair mask you normally use. If your hair is too dry maybe you should cut back on the nettle drops, add half the amount because it may be drying your hair. If you’re suffering from excessive hair loss you should think about consuming nettle tea and check out your hormones and blood count because an iron deficiency could be causing your hair loss. What Are The Health Benefits Of The Hair Growth Shampoo’s Ingredients? Nettle: Nettle has been used for hair care for centuries. It has the ability to speed up your circulation and blood flow to the scalp and stimulate faster hair growth. The better the circulation the better the absorption of all the other useful ingredients in the shampoo. Panthenol or Vitamin B5 maintains your scalp healthy and stimulates hair regeneration. Castor oil has proven to be very effective in promoting faster hair growth and almost all hair-dressers recommend it. It’s rich in vitamin E and ricinoleic acid which strengthen the hair follicle. Vitamin E is also a strong antioxidant which reverses the harmful effects from free radicals. This oil has the power to regenerate our hair and eliminate the funguses which cause dandruff. It also protects the scalp, sooths it and heals it. AD drops: are overall beneficial for our skin and hair because they have strong regenerative properties. Nourishes the hair and strengthens it. People who use this shampoo regularly say that just after a few uses the hair becomes healthier, shinier and doesn’t fall as much as before. It also grows faster and it’s softer to touch. Try it out and you’ll be amazed from the results.